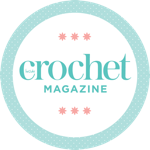 In this new series, I’m going to take a look at some of my favourite yarns, what is so great about them and what kind of projects I would recommend them for. To kick off, I thought I’d take a look at what I’ve come to see as my default yarn – the wonder that is Stylecraft Special DK. Stylecraft Special DK is a premium acrylic yarn, which is available in a whopping 82 shades. It comes in 100g balls, with 295 metres of yarn in each – which is a lot of yarn! This was just part of one Special DK order… a bit addicted! Stylecraft Special DK is a premium acrylic yarn. Acrylic sounds rubbish though, right? Well I’m happy to report that when Stylecraft say premium acrylic, they mean it! Special DK is lovely – it’s soft, and doesn’t have the nasty itchy feel that old school acrylic yarns used to have. I’ve used a lot of acrylic yarns (what can I say, I like buying yarn just before payday as well as just after it! ), and Special DK is my staple acrylic because I find it to be one of the nicest to work with. Having said all this, it is an acrylic yarn. So if you’re looking for something you wear close to the skin, you may want to try a natural fibre for breathability. So, I like the feel of this yarn – but I love the colour choices! As mentioned above, Stylecraft Special DK comes in 82 colours – EIGHTY-TWO! I think this encapsulates the depths of my addiction – the blanket AND all the yarn in the bags are Stylecraft Special DK – check out the huge colour range! I can’t fault the colour range of Special DK – this is what keeps me coming back. Virtually any colour scheme I can dream up, I can create using this yarn. I have a shade card at home which I consult before big projects – it’s great to not have to trawl through lots of different yarn brands to get the colour combination you want. Stylecraft Special DK costs £1.79 per 100g ball. There’s 295m of yarn in each ball. I’m not sure you can get better value than that? You can’t get easier to use than Stylecraft Special DK – it’s an absolute dream. It doesn’t split (my yarn pet hate is splitting! ), it doesn’t fluff up, it doesn’t break and it doesn’t stretch. In terms of consistency, I’ve noticed a couple of issues – some colours seem to be thicker than others, and there is the occasional inconsistency within a ball. I’ve had a couple of balls with multiple knots in them too – I understand that some yarn will have knots. I don’t think a ball should have more than one. This one I can answer with confidence – this yarn is super durable! I’ve used it for so many projects now, and I can say with confidence that it is great durability-wise. I use Stylecraft Special DK mostly for blankets, cushions and amigurumi – stuff that gets a lot of use. And it lasts SO well! I can chuck my Special DK makes in the washing machine, the tumble drier and get pet claws all over them – and they’re all fine. The colours don’t run, it hardly bobbles, it’s great. I even used it for some bunting, which stayed outside in wind and rain for 18 months – and looked better than it did when I made it. It’s perfect for yarnbombing! Well these are easy to find! My Granny Stripe blanket is a Stylecraft Special DK wonder – it’s such a sight to behold! This Autumn/Winter wreath was mostly a Stylecraft, erm, special. My crochet cat toy was made from Stylecraft Special DK. I also use it for Tunisian crochet cushions. I usually buy my Stylecraft Special DK from Wool Warehouse. If you want someone to do the colour choices for you, I highly recommend choosing a yarn pack from the Attic24 store – Lucy from Attic24 has the most incredible eye for colour, it’s a great way to try a selection of shades. What do you think? Are you a Stylecraft Special DK fan?